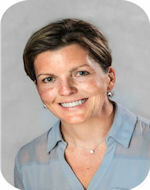 Dr. Ann Hogan was born and raised in a small town in upstate New York. She is one of 11 children and the daughter of a physician. Her father was truly dedicated and devoted to giving his patients the best possible care with unmatched compassion. This lesson had a major impact on Dr. Hogan and her siblings. 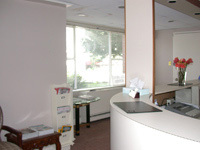 Dr. Hogan focuses on family, cosmetic, and endodontic care. She received her Bachelor of Science in biology from SUNY Oneonta, and earned her Doctorate of Dental Surgery from New York University College of Dentistry. 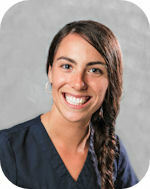 Upon graduation from dental school, she completed a one-year, hospital-based general dentistry residency in Brooklyn. 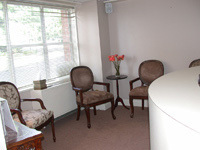 In 2007, Dr. Hogan joined Esthetique and runs our Stamford office. 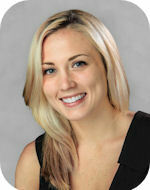 Dr. Hogan loves the field of oral and dental medicine, especially the patient/dentist interaction. She constantly keeps up with the latest products and techniques, and has a burning desire to bring the lessons her father taught her to the practice. Dr. Hogan recently moved to Stamford. When not working, she likes to walk the streets of downtown Stamford and loves to bike, hike, boat, and pretty much anything that involves being outdoors. She also loves to travel and hopes to find more time to visit exotic places! She likes to barbecue and enjoys to bake cookies on occasion. And of course, she spends as much time with her wonderful family as time will allow. 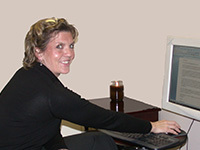 Denise has been our office manager for more than 10 years. She goes out of the way to take care of the patients, spends time to get to know them. 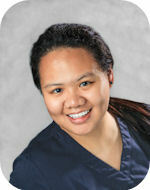 At the office her goal is to assist our patients to achieve their overall oral wellness. She is a native of Stamford, was born and raised in Stamford. She enjoys spending time with her three beautiful daughters and two granddaughters. She enjoys working out, cooking, baking and gardening in her free time. Britain has been with our office for over seven years. She is a peoples person and her favorite part about working at Esthetique is getting to know our patients and making them feel at home. 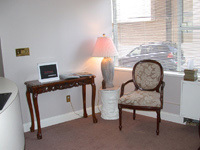 She will work with you to make your appointment seamless and a pleasant one. In her spare time she likes to cook and enjoys working out. You will find her every year at the Boys and Girls Club 5k and at St. Patrick’s Day parade in Stamford. She is a budding painter and is currently taking classes at NCC. Katherine is a registered dental hygienist who recently joined our practice and is an instant favorite with our patients. 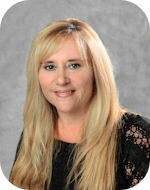 She is also licensed in pain management and can administer local anesthesia and nitrous oxide. She loves the team of Esthetique Dentistry, and believes in an outstanding service for our patients. 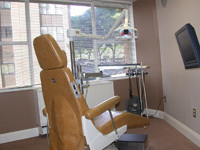 She says, “I understand how uneasy a dental visit can be for a patient. 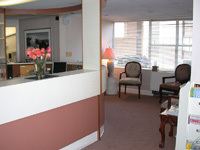 I strive to make a difference in providing a relaxing and positive experience in a comfortable atmosphere. I consider it a privilege to see each and every one of my patients and I always take the time to give personalized care and show them the best way to achieve and maintain their best oral health.” She is also fluent in Spanish. She lives in Stamford and loves to spend time with her husband, her Shih-Tzu and family. She enjoys traveling to different countries and learning about their culture. 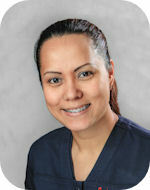 Melanie is a hard working and caring assistant who not only assists with general dentistry but with Oral surgery as well. 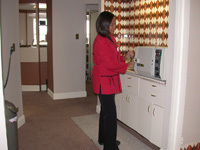 She has been with the practice for more than seven years and considers this to be her second home. 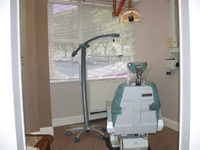 She believes that the patient should have an easy and calming experience on the dental chair. She lives in Greenwich with her husband and two daughters. She enjoys baking ‘arts of confection’ such as fondant cakes and macaroons. Sami says, “I’m a bright spirit within our restorative dental team and her smile lights up the room.” She feels that this brings a great positive experience for our patients. You will get to meet her and experience her smile. She has been with our practice for more than four years. She keeps up to date with the latest sports news and loves a great summer day with country music playing in the background. Jessica is the newest member of the Esthetique family. To begin with Jess is finishing getting her Dental hygiene degree and will work towards becoming a dentist like her mother. She is a newlywed and loves to spend time with her family and friends, traveling, and volunteering at local animal shelters. Krishalyn is a cheerful assistant who has been in the office since 2010. This is in fact her first job after migrating from the Philippines. She is an aspiring young person who loves to help and assist and wants to be an engineer. Now you will get to meet her on Saturdays when she gets time off from her school where she is pursuing her bachelor's degree in Civil Engineering at University of Connecticut.